UPDATED NEW QUOTE BY ULDIS SPROGIS 1262!!! This entry was posted in common sense and tagged accept, common sense, death, escape, fear, fight, forever, ignore, language, obsessed, quotes, truth, wisdom, wise sayings, words on November 29, 2018 by uldissprogis. UPDATED NEW QUOTE BY ULDIS SPROGIS 639!!! If you liked this evergreen truth blog then read more of them, about 3600 so far, or read one or more of my evergreen truth books, especially EVERGREEN TRUTH, rays of truth in a human world filled with myths and deceptions. This entry was posted in common sense and tagged common sense, create, forever, human nature, idea, quotes, relationships, truth, wisdom, wise sayings on August 27, 2016 by uldissprogis. Nothing in this universe is unchangeable but there are some candidates like the sun, planets, and moon which realistically don’t change for all practical purposes. 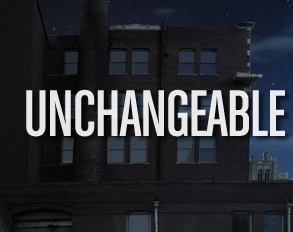 Unchangeable is really the same now and the same billions of years from today. If you liked this evergreen truth blog then read more of them, about 1700 so far, or read one or more of my evergreen truth books, especially COMMON SENSE, rays of truth in a human world filled with myths and deceptions. This entry was posted in common sense, education, science, society and tagged common sense, education, forever, no changes, permanence, science, society, the truth about unchangeable, unchangeable on June 10, 2015 by uldissprogis.